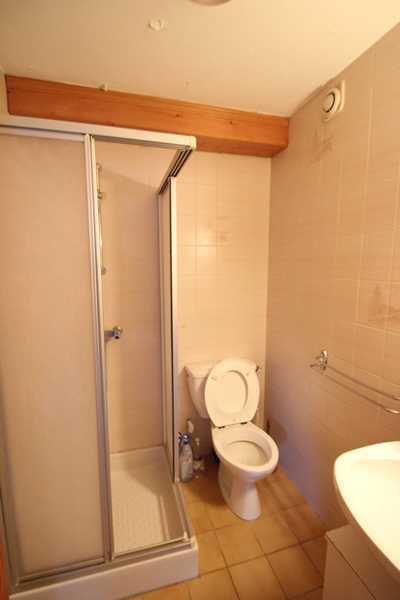 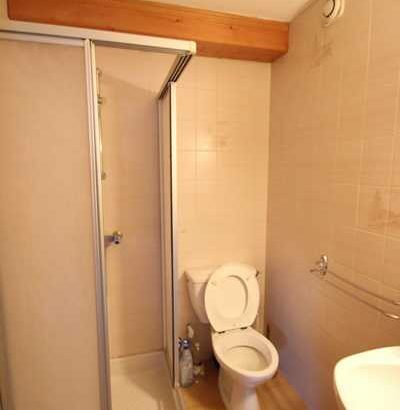 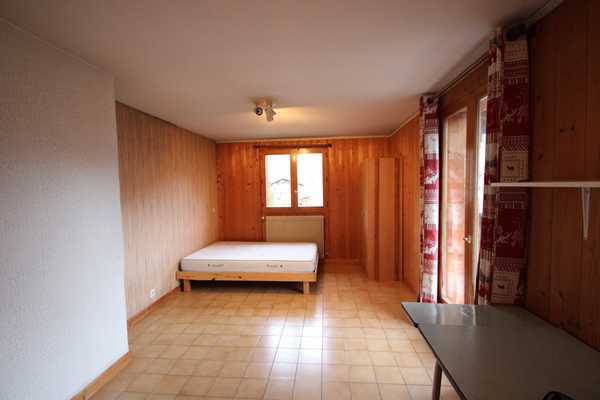 This 1 bedroom studio apartment sleeps 2 people and is located only 5-10 minutes on foot from the town center. 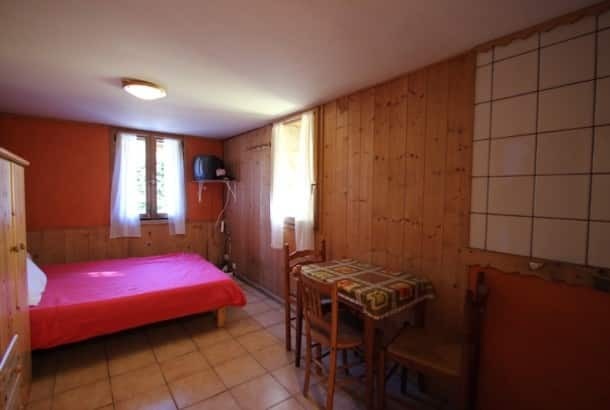 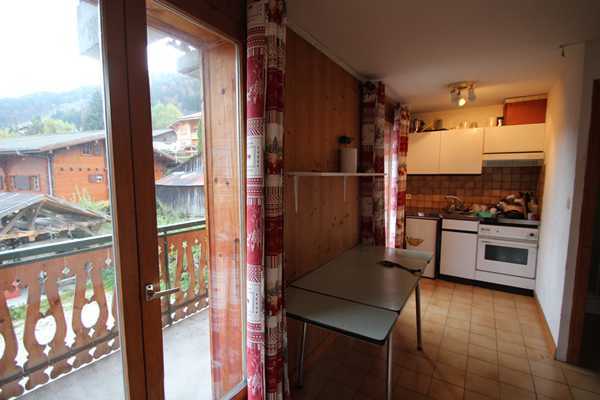 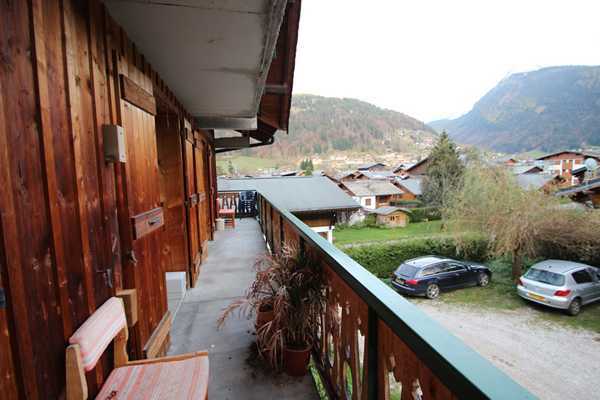 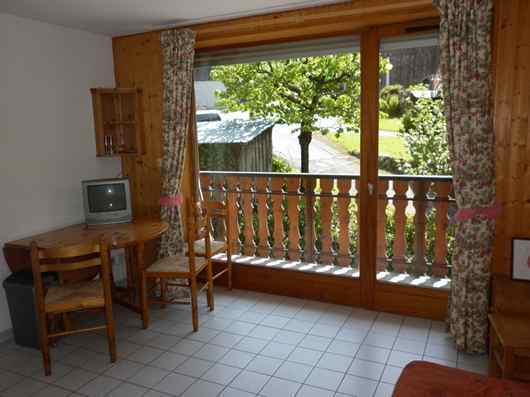 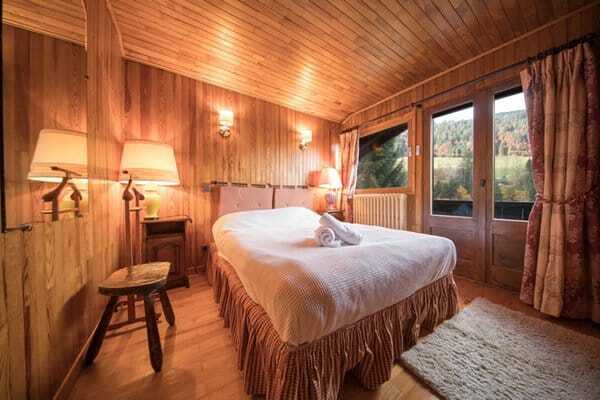 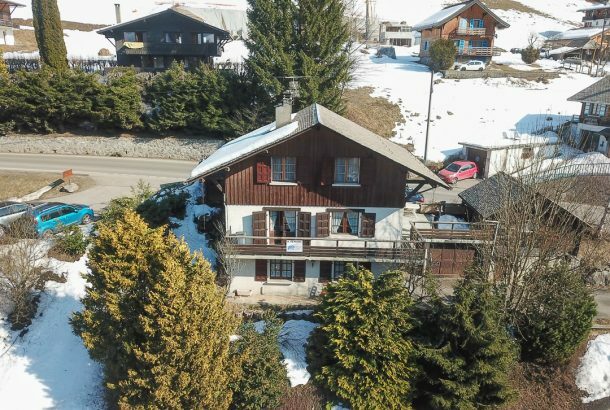 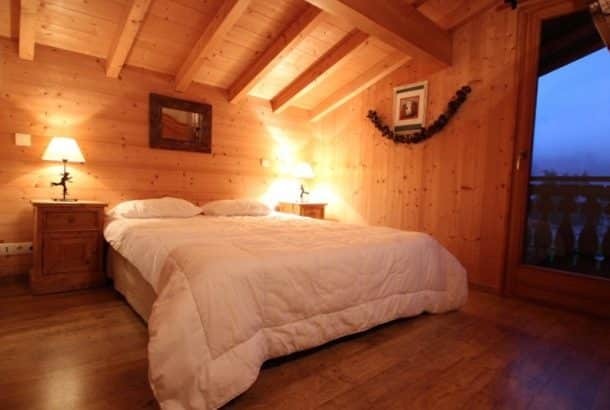 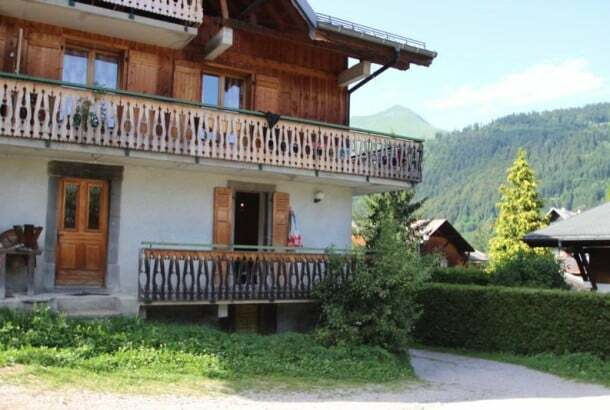 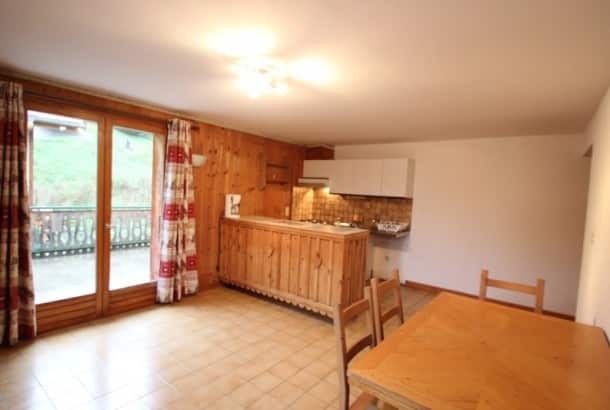 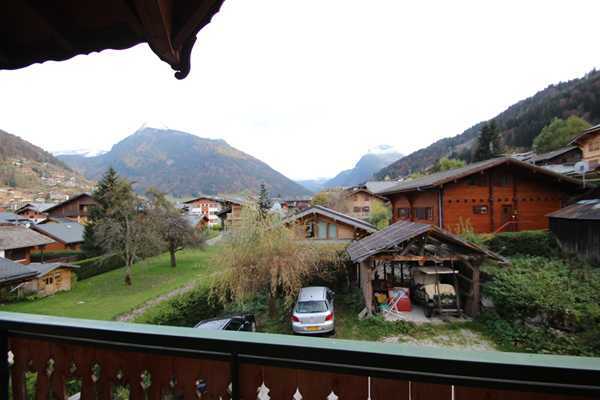 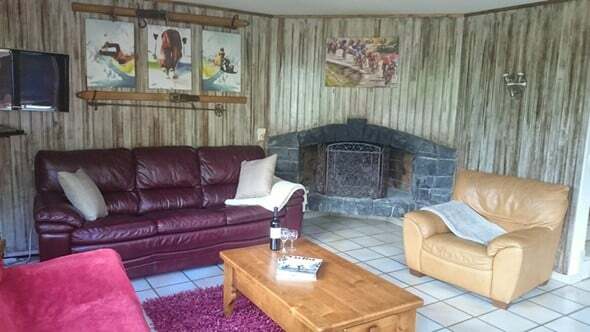 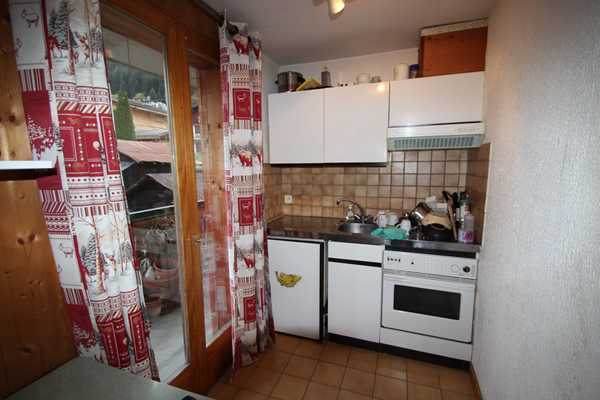 It is a stone’s throw from the local supermarket and Morzine’s newly renovated wine bar. 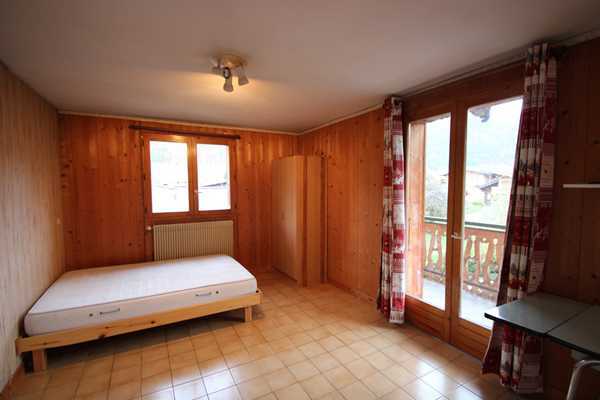 Through the entrance hall there is an open plan living space with double bed. 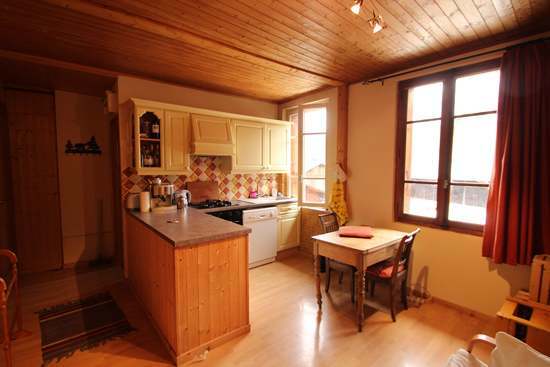 The kitchen is fully equipped with all the necessary cooking utensils, and even a few strange French cooking utensils! 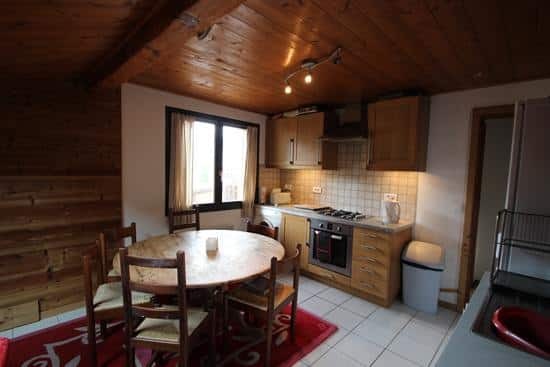 The dining area houses a table which can seat 4 people with access to a large private balcony with stunning mountain views.